It is a great opportunity that we can find ways to possess something without spending money on it. For instance, during Christmas, we need to make our own Christmas card to send to our family and friends. Last year I remembered that I also got my free Christmas Cards from a different company for FREE. It feels great to get something you need without spending your own money, you can actually save on it. I’m also happy that there are so many generous companies who do it. Moreover, one of them is Walgreens I love their photo center. I always received a notification about a FREE photo that needs to be claimed on certain dates. I shared it with friends who has Walgreens nearby their area so they'll also take advantage of the free stuff. You also need to be sneaky to learn where to get free stuff in order to avail the opportunity. 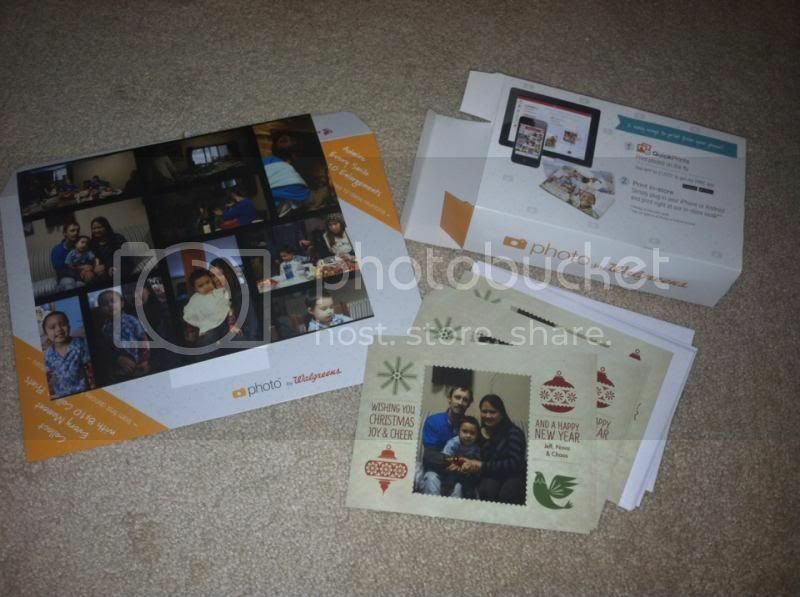 Walgreen gives out FREE 20 PCs 5x7 flat photo cards and an 8x10-collage print. I was so happy to avail the freebies and now I’ve sent them to my family and friends and as for the 8x10 collage prints I save it for the family album. You've got a present from them, then enjoy it. A freebies is good, as always. This is a nice way to send Christmas Greetings with Walgreens cards and they come free. How nice to be avail to avail those for free.